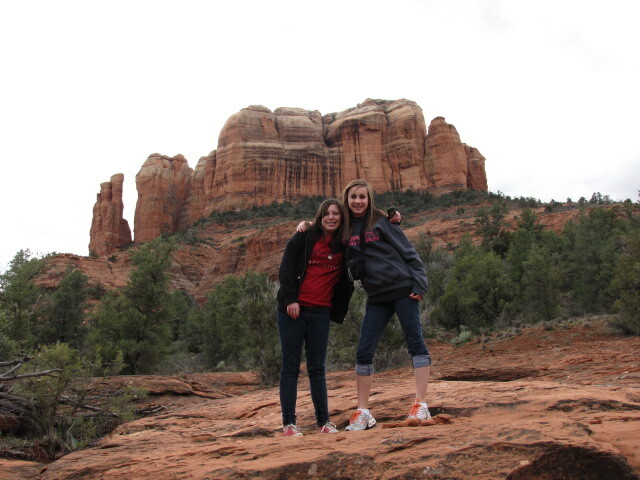 Our last day in Sedona had dawned upon us. We would have to leave very soon. We decided to take one last hike in the early evening to our favorite spot. It was the place we went on our first hike with our tour guide. This place is called Airport Road. Why? 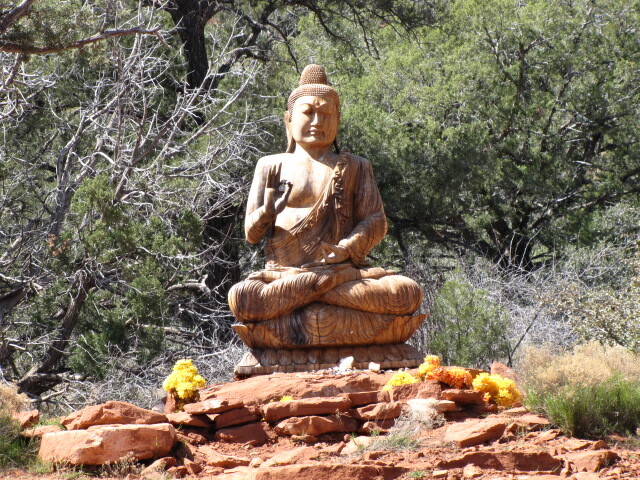 Because it’s on the way to the tiny airport on the top of a mountain in Sedona. There were a few people about enjoying our favorite place, but most were on bike rides or power walks. No one really wanted to stay and sit. 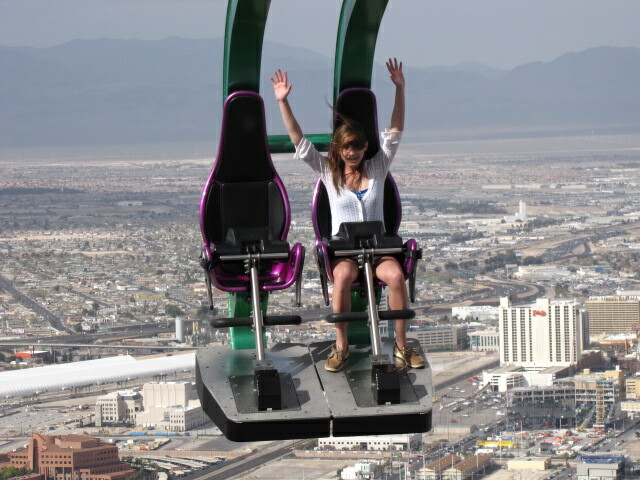 We ran into an Asian lady who was freaked out about how high up she was. She said she hadn’t seen any people for a long time and was worried about getting down the trail. We pointed her in the correct direction. She was thankful and afraid at the same time. One side of this trail is pretty much a drop off, but I never felt unsafe. Neither did the kids. 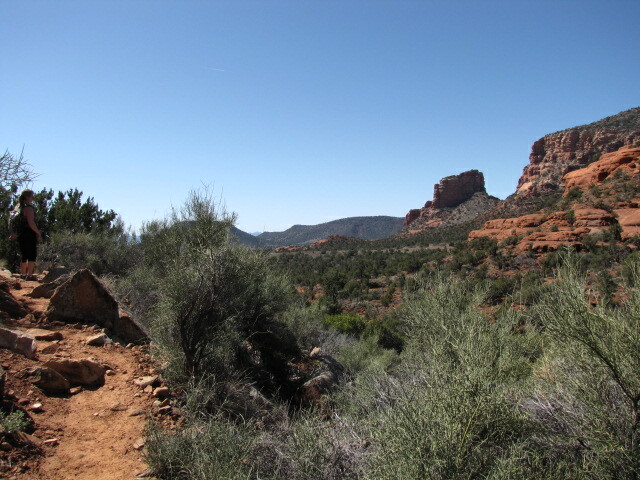 It was a fairly wide piece of trail but at the same time, it’s a very smooth rock. I see where slippage could be a concern. 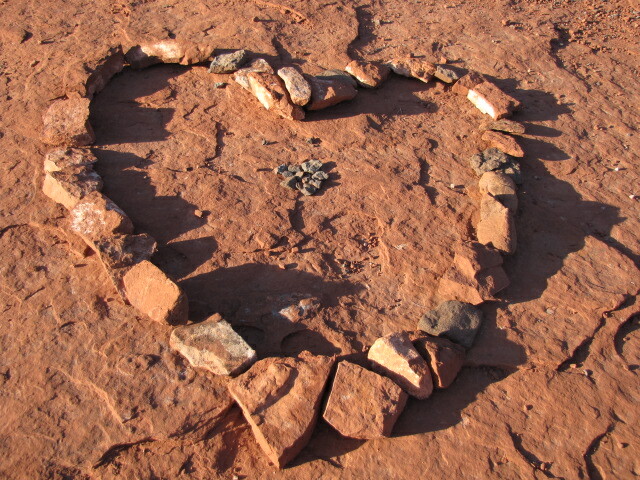 So we built a heart as a thank you note for our guide. Our girls chipped in gladly as we worked this puzzle. This area also has green rocks scattered about. I was really intrigued by them and I’d asked our guide what they were called. I’ve forgotten now, but it doesn’t matter. I placed a good pile of them in the center. 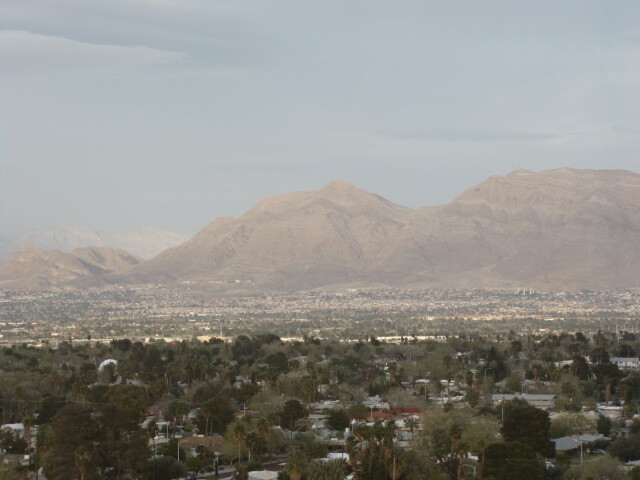 We took a few more photos and enjoyed the view. Everyone was pretty quiet now. 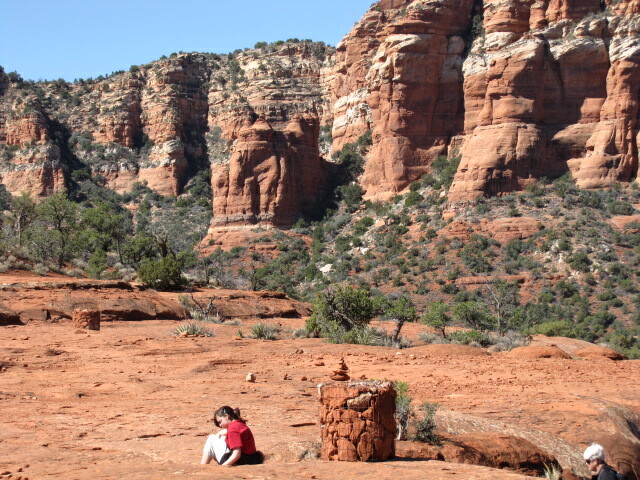 I guess sometimes it just takes building a serious rock formation to calm the kids down. They had a great time and didn’t want to leave this place. They loved it as much as we did. I feel lucky to have been able to share a journey like this with my daughter and two very special friends that I met in 2005 in the yoga room, imagine that. 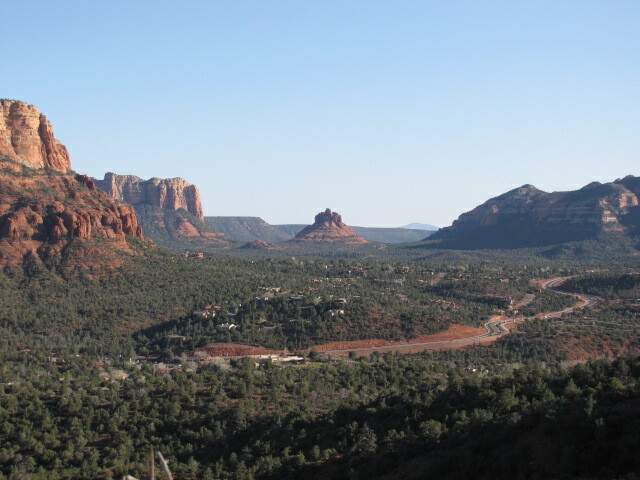 Categories: travel | Tags: az, sedona | Permalink. 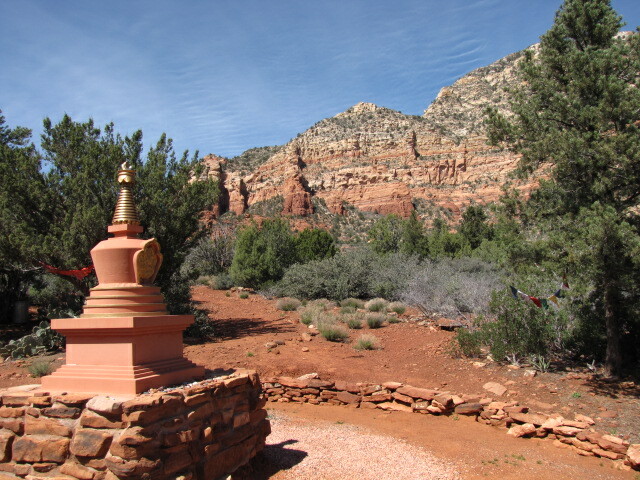 Our tour guide told us about this place and we could see the statue’s top when he took us to his home on Thunder Mountain. We decided we needed to see it up close and personal. So we did. This was a short hike but a beautiful place as well. 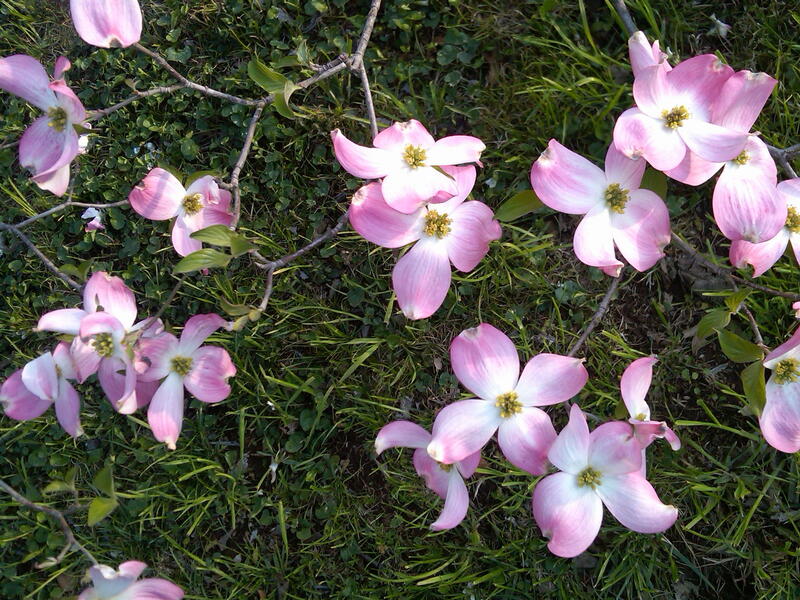 There were pretty things along the way, not only in nature but things placed by people. 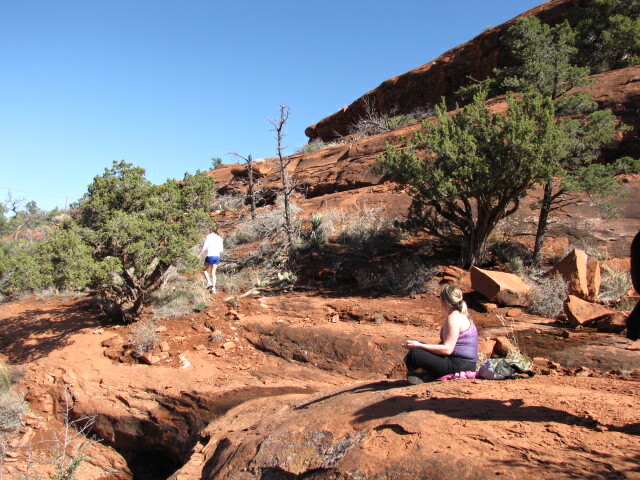 Once we got to the top a guy was leading a lady through a guided meditation, so we kept quiet. The kids even honored that and didn’t throw any rocks. 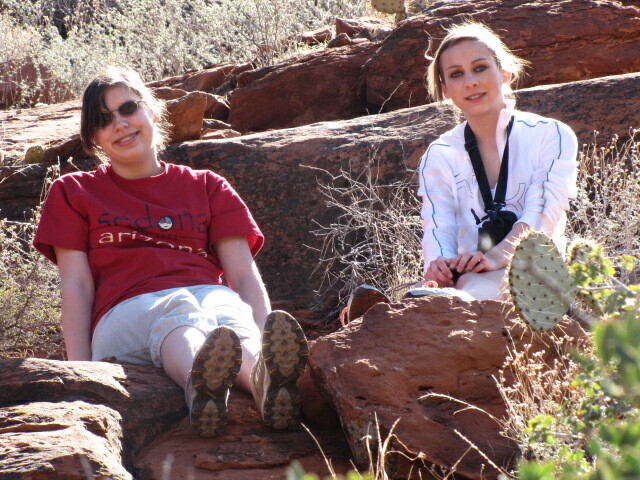 That was something they’d enjoyed doing on all of our other hikes. 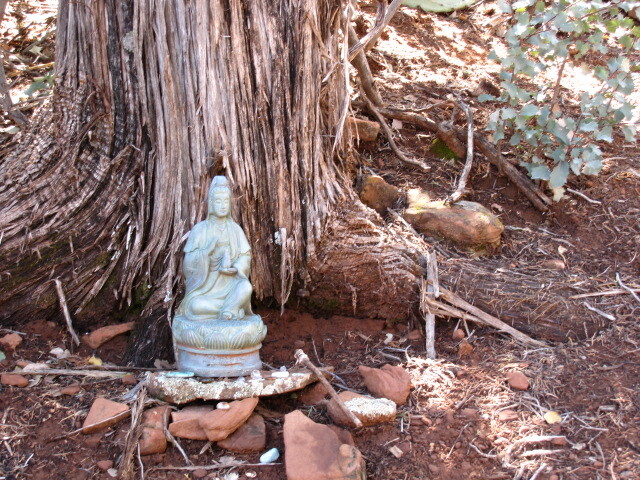 There are two shrines. One is very large and another one down another path that is much smaller. There’s also a gigantic Buddha. It’s pretty cool. 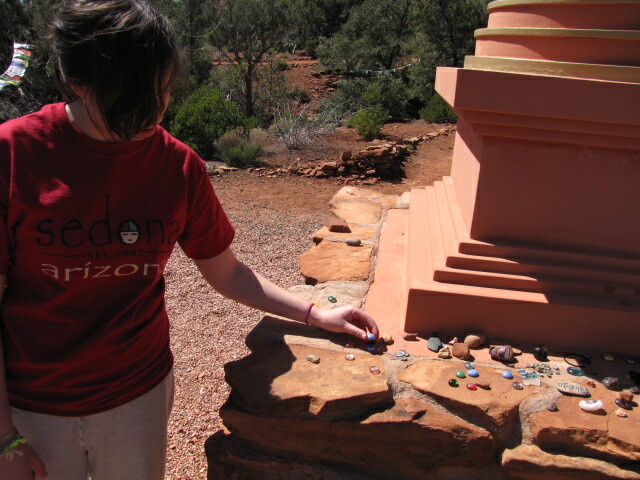 My friend rested at the guided meditation site so I walked the kids to the smaller shrine. I told the girls to pick up some pretty glass droplets that littered the area and make an offering since I didn’t want to leave gum. Some people had done that. They’d left chewed gum at that. 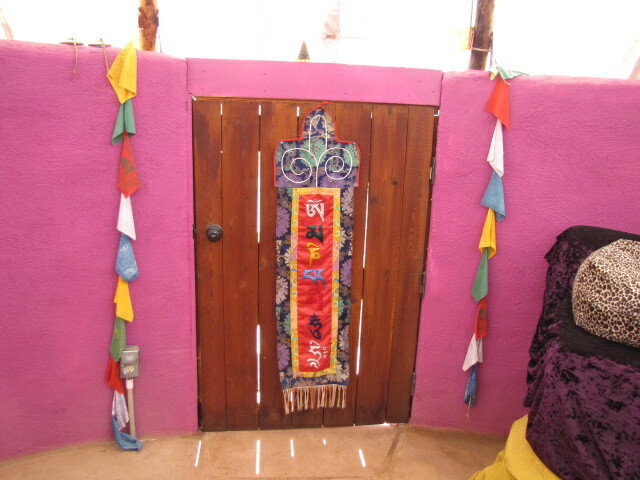 They’d also left flowers, jewelry and other trinkets. It was interesting to see what people had left there. The views here did not disappoint either. This area was a bit different though as there were a lot of green pine trees. They were lovely against the red rocks that’s for sure. We left this wonderful place and headed back to our hotel for a long soak in the hot tub and the pool. I was dreading the next day, as we would have to leave this magical place. 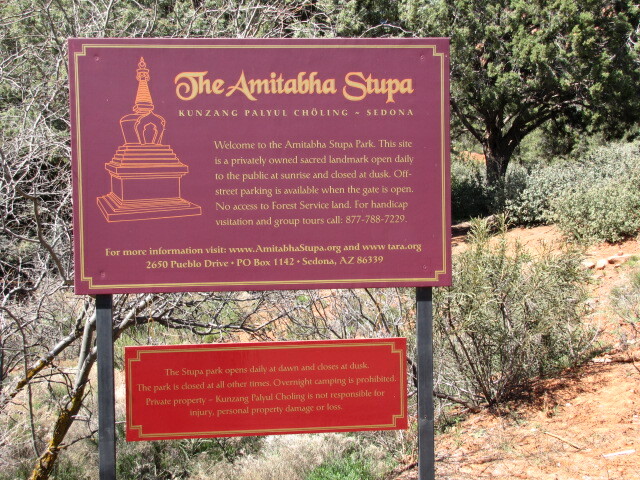 Categories: travel | Tags: amitabha, buddha, stupa | Permalink. We woke up on Wednesday to clear blue skies and warmer weather. We ate our breakfast quickly and got the hell out of the hotel. 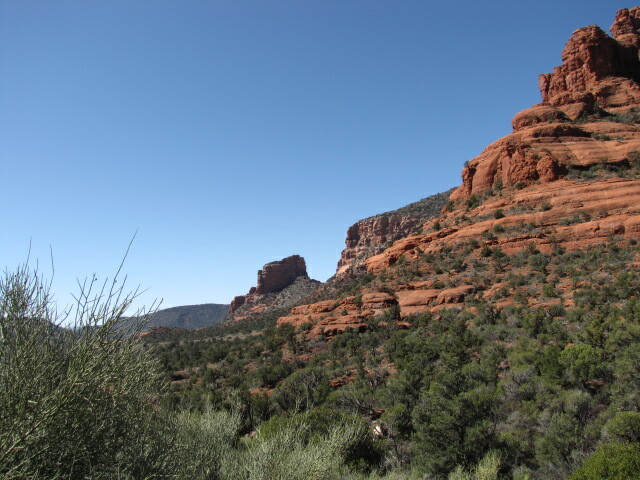 Bell Rock was our destination and we wanted to be there by 9 a.m. We made it on schedule. This is another beautiful place and powerful vortex point. Courthouse Rock is seated right next to it as well. 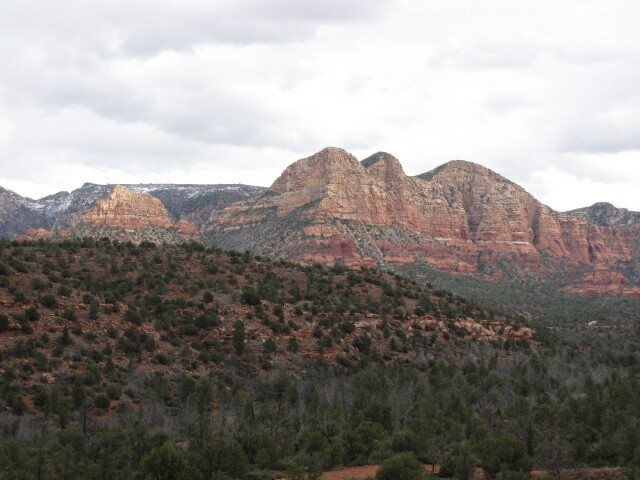 We started our hike towards the rock and peeled off our layers of clothing as we hiked. The kids found a place they wanted to climb so we stopped for a rest. After a short break and a photo shoot, we headed out. We didn’t hike to the top of this rock but hiked completely around it. We spent about 4 hours at this place. 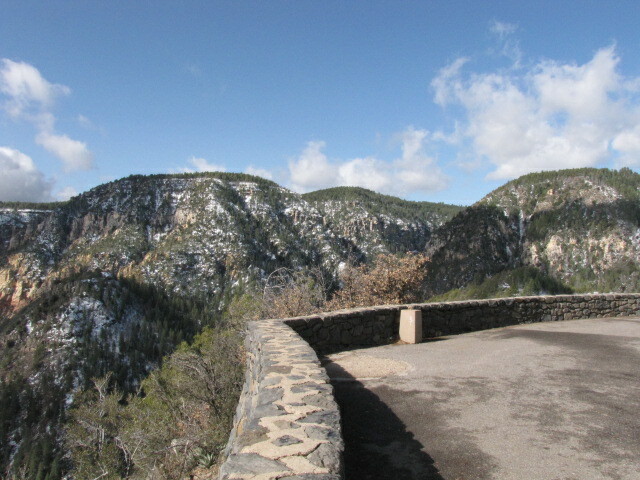 From the back side of the rock, high on the ledge you can see for miles. I got home and realized I did not take enough pictures of this place. But that’s OK. It’s in my mind and that’s the most important place for those images to be. We looked for Stevie Nicks everywhere we went. But she wasn’t hiding under any of the rocks that we turned over. 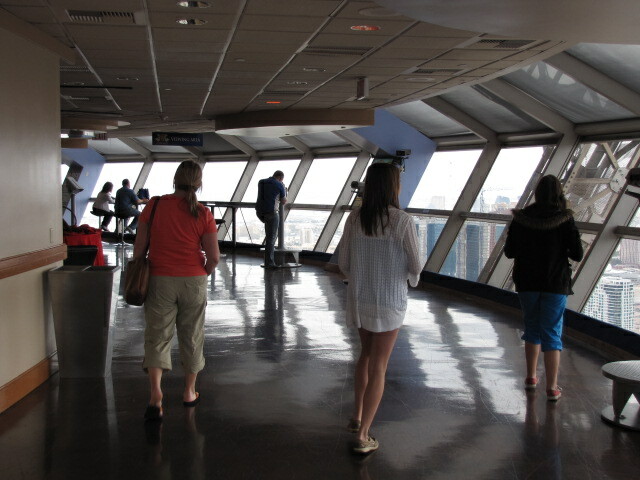 We met several people from different parts of the globe as we stopped on the ledge to take in the view. Below I could see people hiking and riding bikes. Straight across I could see the Church of the Holy Cross. 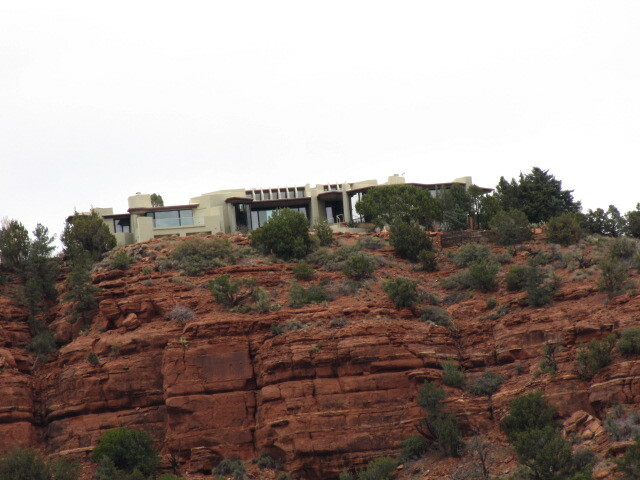 It’s built into the side of the mountain. We didn’t make it there this trip. We hooked up with a senior couple from Canada. They were trying to hike out of there and so were we. We forged our own pathway out and down and they followed. It was the right path to take as it took us between Bell and Courthouse Rocks. I had a tingling sensation the entire time I was in this area. Vortex energy? Altitude? Excitement? Who knows. Who cares? It was a beautiful day. 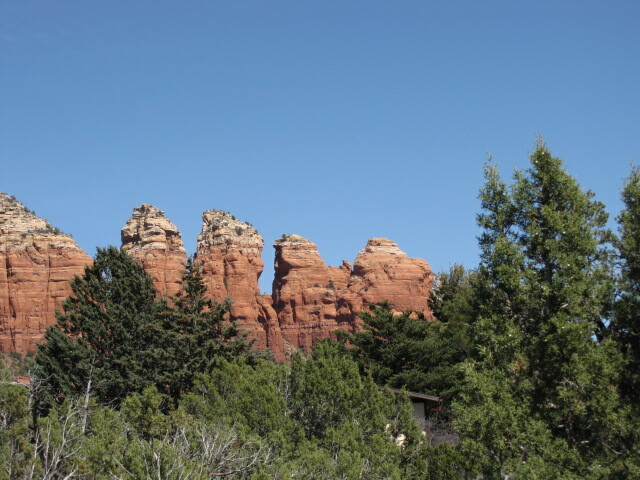 Categories: travel | Tags: bell, rock, sedona | Permalink. After our lunch and our tour with Akul, we were ready to explore on our own. 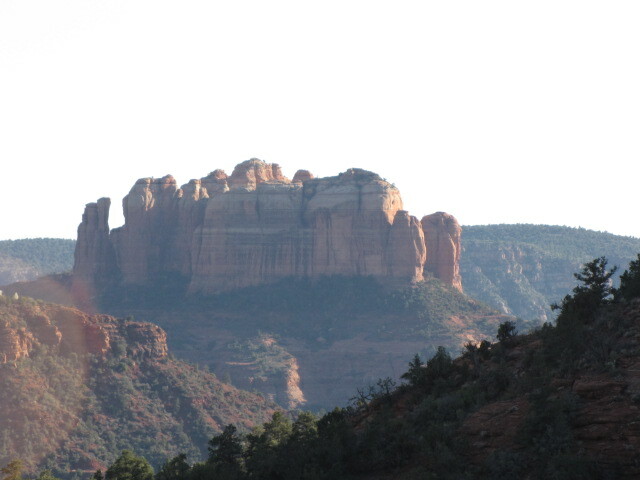 We decided that Cathedral Rock would be our first vortex stopping point. Even though these places are parks, there are only like 10 parking spaces. We circled and circled with a bunch of other people doing the same thing and finally said screw it. We’re parking on the side of the road. 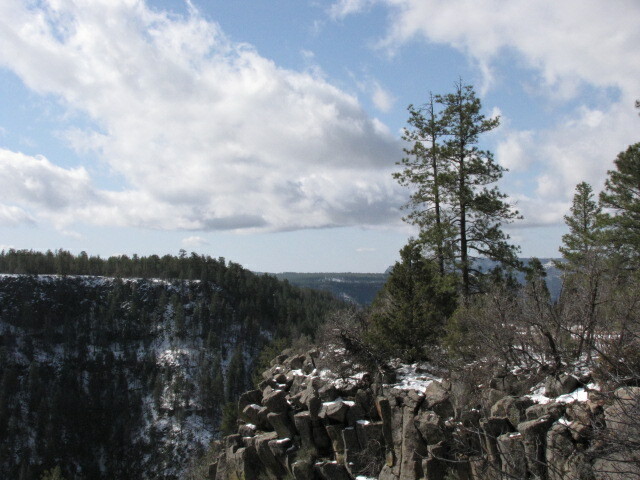 Our guide had told us if we hiked Cathedral Rock, to hike away from the crowds. That’s a no brainer for me but we appreciated the information anyways. The day was warmer than Monday of course and we weren’t experiencing snow. 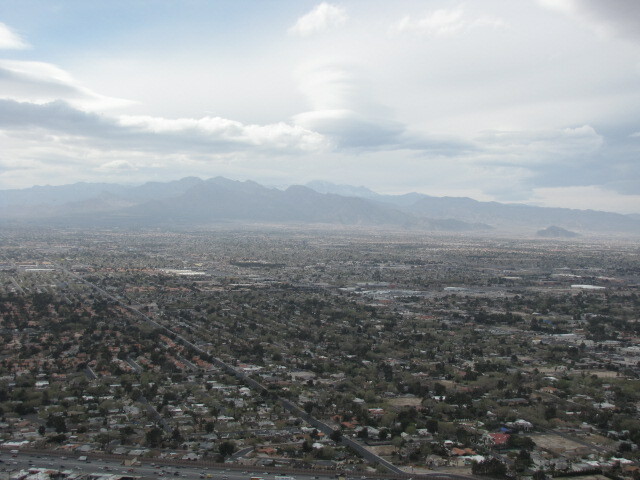 Lots of clouds blew in though so we did have an overcast kind of day. 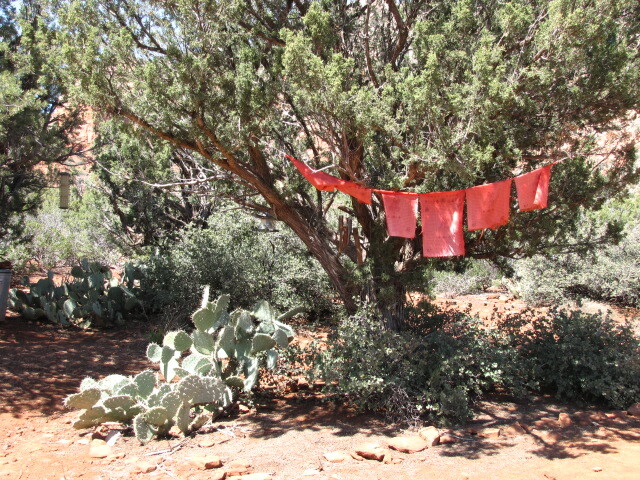 We started our hike and I noticed all the red dirt. I immediately thought uh oh. Missouri red clay. It had rained the day before so the earth was a bit weepy. But to my excitement, this red dirt is not like Missouri red clay. This stuff shakes easily from the shoes as it’s more of a sandy mixture. Grateful I was. Let the hike continue. We forged our own pathway and of course the girls were running way ahead of us. 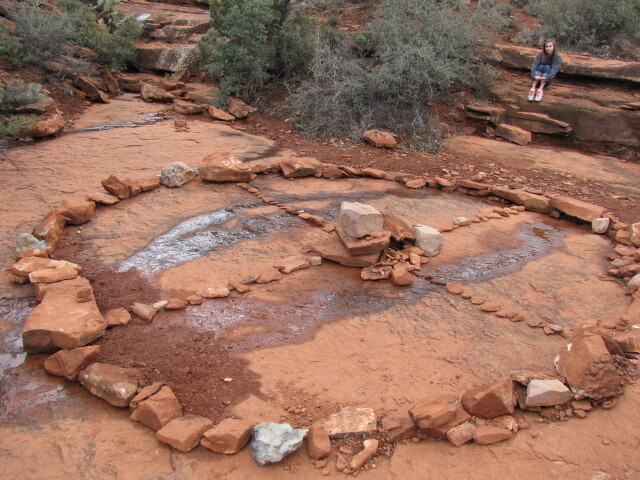 A few moments later, we heard one of the kids yell, “Hey guys, there’s a medicine wheel up here!” And there was. It was a wheel of pretty good size as you can see compared to the 13 year old founder. 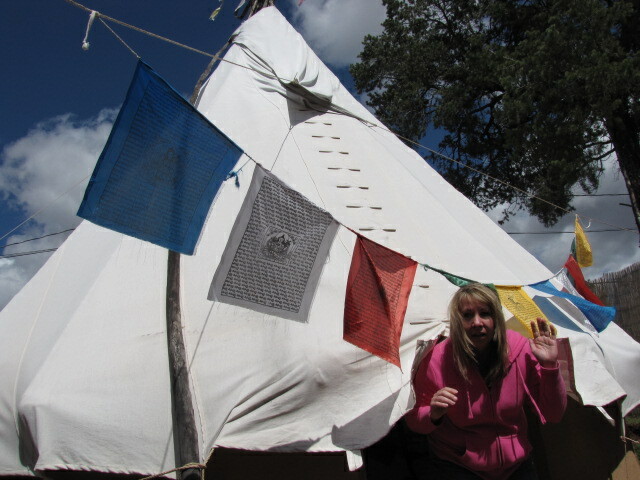 We found it to be pretty neat that we ran into this since we’d just been on a medicine wheel tour that morning. Just another cool and very simple thing that happened on our vacation. We did not hike to the top of Cathedral rock because it was starting to sprinkle. This didn’t seem like a good place to be stuck if it were to storm. Think lightning. I was grateful for the zoom on my camera so I could bring some things closer to me. Like this house for instance. I think I’ll take this one. Most of the homes are made of glass and that only makes sense. Like I said before, there’s not a bad view in this city. 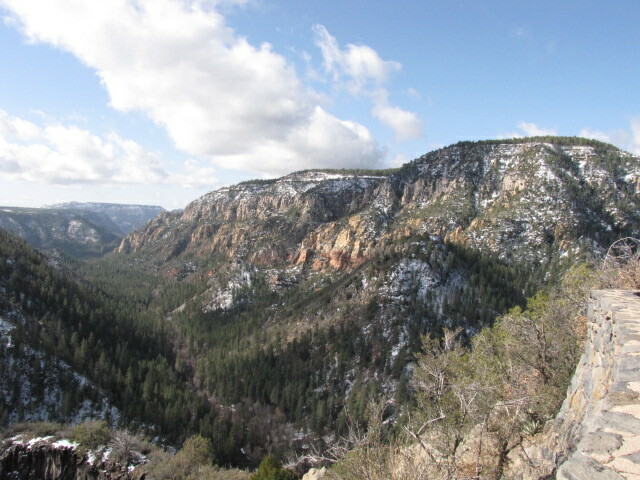 We hiked up to the ledge about halfway up the rock to take in the views from there. 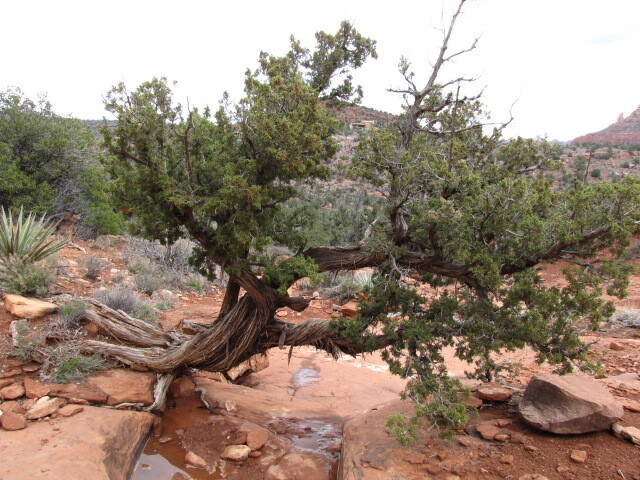 We also found a very twisted Juniper tree. 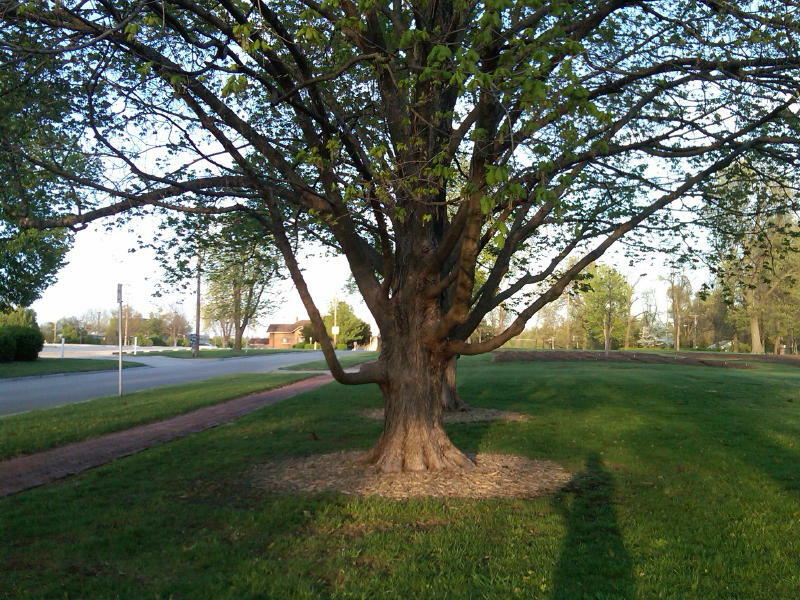 The trees grow in this twisted fashion where the energy is the strongest. We hugged several of them. We said good-bye to Cathedral Rock and I’m sure I’ll return there some day. This is a beautiful place and you can easily kill an entire day here. Be sure you allow time for that to happen. It’s worth it. 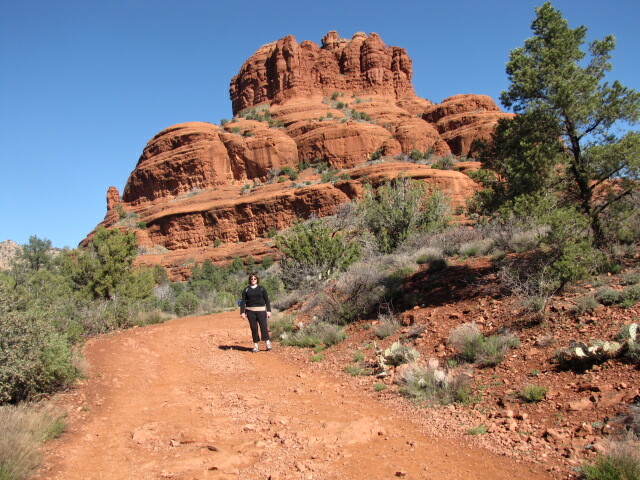 Categories: travel | Tags: cathedral, rock, sedona | Permalink. Our tour guide, Akul showed up at our hotel right on time. We’d booked a tour of medicine wheels and we were excited and ready for an adventure. The girls had seen several pink jeep tours running about town. They asked Akul when he entered the hotel if we were going to go on our tour in a jeep. He smiled and said, “No, we’ll be going in a Taurus.” I immediately liked this guy. He was a bit beaten by the weather and was dressed in casual safari wear. He asked us if we wanted to see places where medicine wheels had once been, or where new ones were today. We said how about both and he replied with, “Good answer.” We clicked and it was awesome. Our first stop was at a road not far from our hotel. The view above was where we planted ourselves for a short while. He hauled a couple of bags of stuff up this trail. We also hiked away from all of the other people which is exactly what I wanted to do. 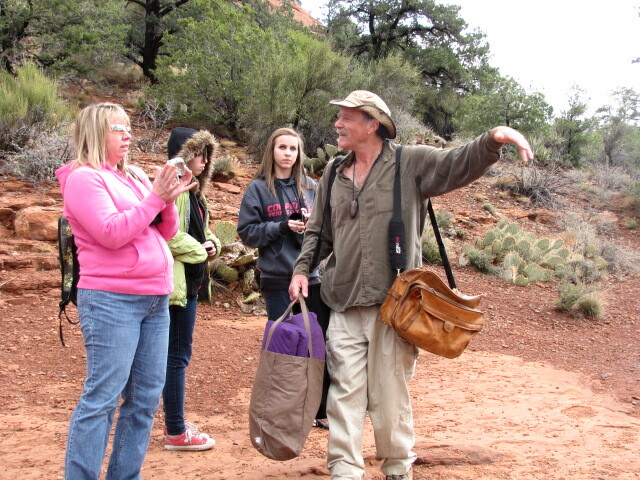 Once we stopped he told us that this place was a previous ancient medicine wheel site. If it wasn’t it missed a good chance to be because this place was amazing. Akul set out 4 purple cushions for us to sit on. 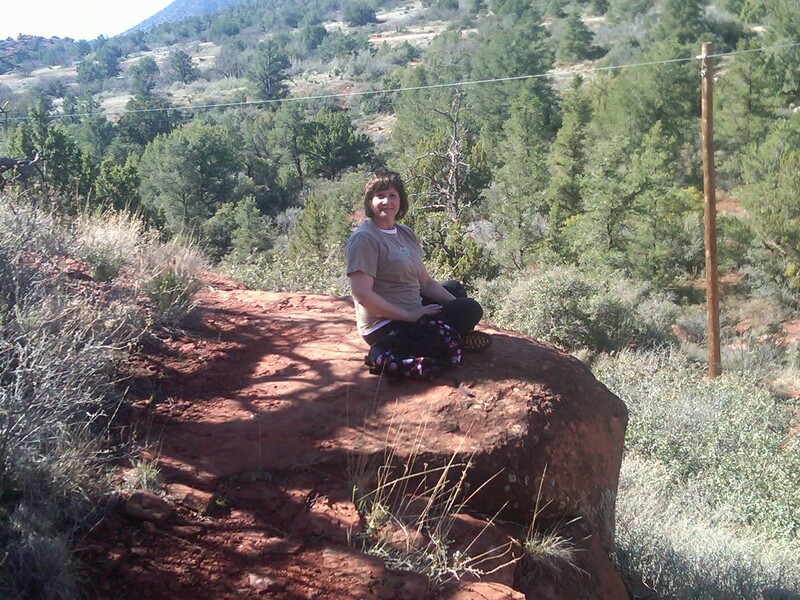 We sat up high on a ledge and from here we could easily see the major vortex points of Sedona. Cathedral Rock and Bell Rock to name two. The view was magnificent. We settled in for a meditation. I heard the wind, I heard some birds and most importantly I heard my inner voice. I hate it when that happens, because the inner voice is usually correct. After our meditation we had a little discussion about what or how we felt. He asked us about any visions we had. One of the girls saw orange with a white dove. The other one saw a green snake. I got a few of the upper chakra colors in pastels which was different for me. I can usually get a dark blue or purple with yellow or gold around it. 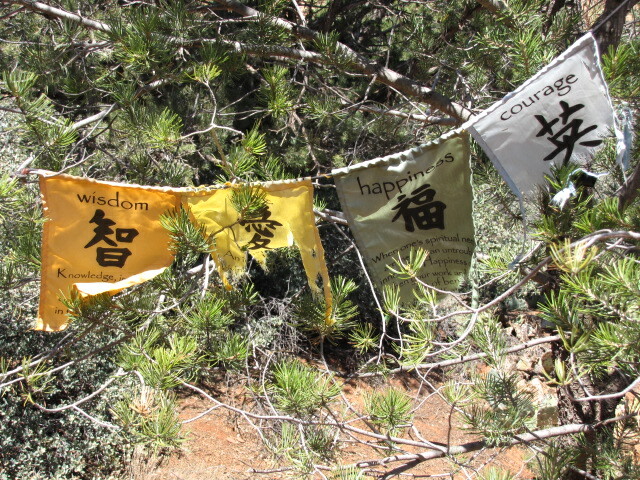 It was very easy to settle into meditation quickly in this place. There’s just something about it that I cannot explain. I have a feeling that I will live in this place at one point in my life. But that’s not important right now. After our discussion we had another short meditation. We were smudged with sage and cedar. I’d had this done before but out in the desert you cannot light a fire or make smoke, so we were spritzed with a smudge if you will. He fanned us with the feathers of a few birds of prey and I liked the sound of the feathers flapping us. Again we had a conversation about what we felt at this time. And of course by now our two 13 year old girls were thinking that their mom’s were a couple of raging lunatics. They were totally good sports. We’d warned them ahead of time that this was not their vacation and they were lucky to be tagging along. I know. Evil aren’t we? 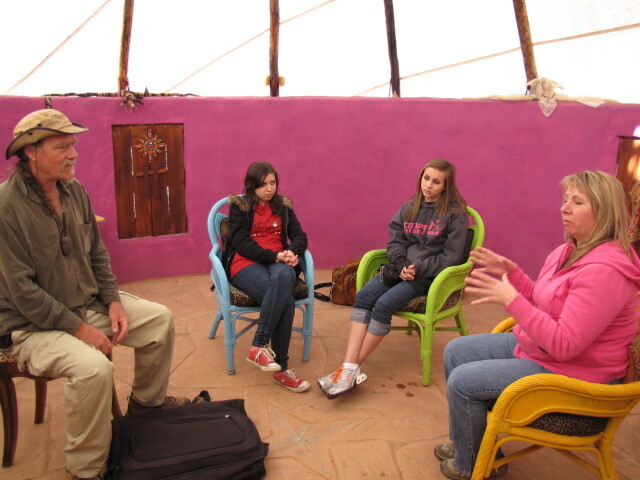 After our meditation and smudging ceremony we headed down the mountain. I didn’t want to leave. We would return here on our last day. 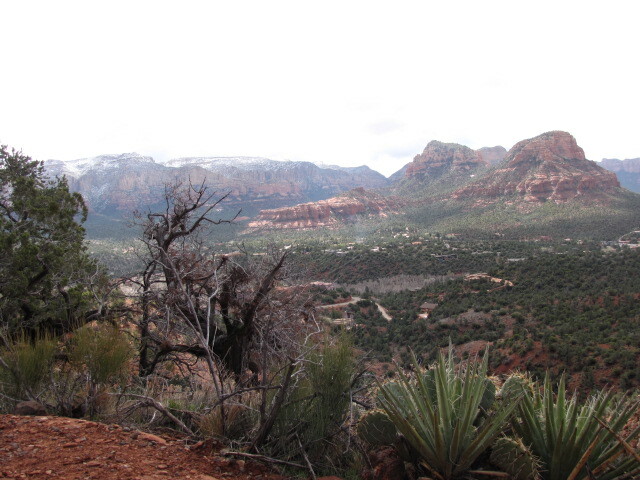 I think it’s one of my favorite hiking places in Sedona so far. It would also be a great place to take a mountain bike. We hopped in the car and were driven to a private home. 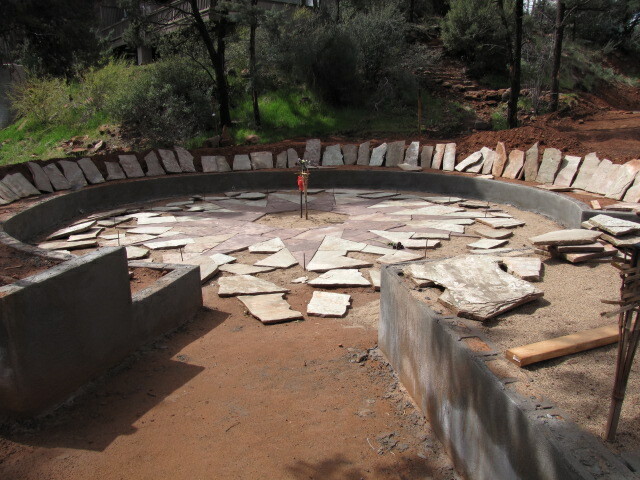 In this yard a modern day medicine wheel was being constructed. It was amphitheater-like with concrete walls and large flagstones in the center. Someone was spending some serious time on this one. It was way cool. Our next stop was a new age store. 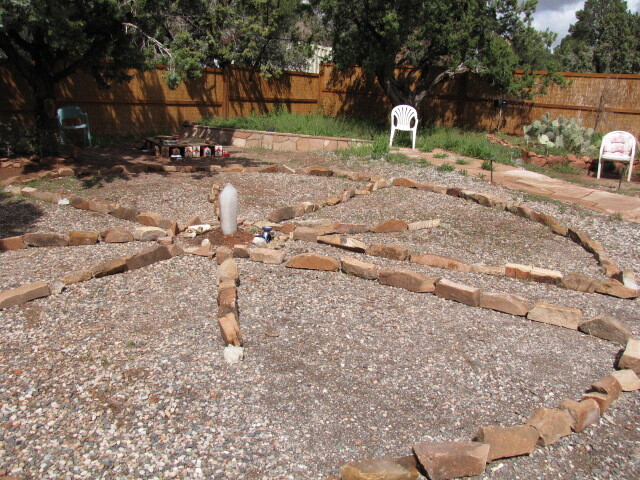 The store had a medicine wheel in the backyard. In the center was a gigantic crystal, it was pretty cool as well. Our third stop was at Le Rouge Spa and Hotel where ironically enough, Akul said his wife teaches yoga. Sadly, I never made it to a class while I was there. 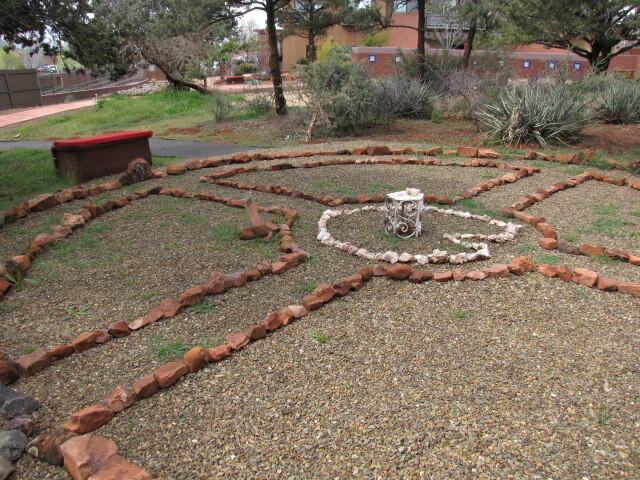 In the backyard at the hotel is a medicine wheel that he and his wife had constructed. It was beautiful and had a walk way like a labryinth. No one broke into any David Bowie songs from the movie Labryinth so it was all good. I was afraid Lauren might start dancing and singing “jump magic, jump magic” but she didn’t. I guess it could’ve been pretty funny if that would’ve happened though eh? Our final stop was on Thunder Mountain at Akul’s home. 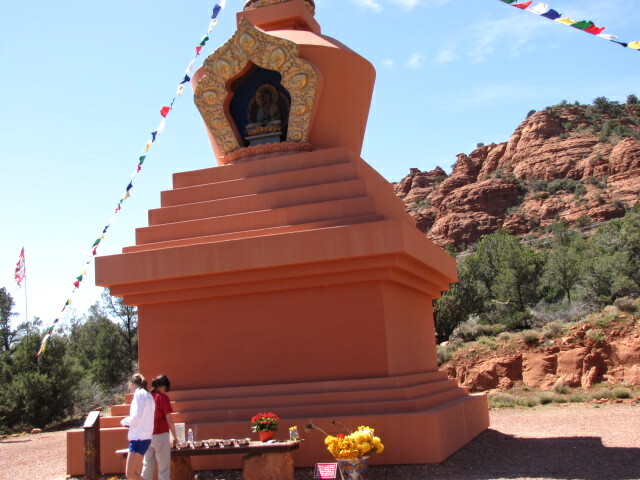 He told us about the Amitabha Stupa (giant Buddha nearby) that we could see on another day. He has a pretty decent teepee (that he had built) in his backyard. We entered through the little hobbit door and checked it out. 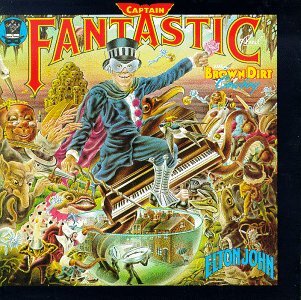 It was cool, just plain cool. We all had a seat and talked a little about our day. Akul grabbed a big Native American tambourine-like drum and started to chant an Indian song. I totally forgot to ask him what it meant, go figure. He sang for quite awhile and near the end his two big Alaskan Husky Wolf Mix dogs joined in. It was awesome, so awesome that I thought he was going to cry. I love hanging with people that are totally passionate about what they do. He is definitely one of those people. He spritzed us with this awesome smelling stuff from Peru. He told the kids to pick a crystal out of this five gallon bucket and we were driven back to our hotel. Once back at the hotel, we decided that lunch was in order. Our 2 1/2 hour tour had lasted 3 hours and it was well worth it. Akul has been featured in Elle Magazine and some other things as well. And we found him because Darlene walked down the street to schedule a massage and picked up his brochure. I love it when things fall into place like this. When things are unplanned and turn out beautifully. This is how I like to live my life. 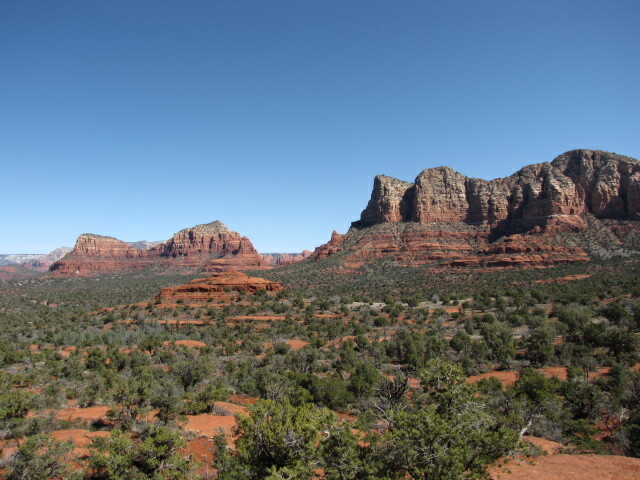 Categories: travel | Tags: medicine, sedona, tour, wheel | Permalink.